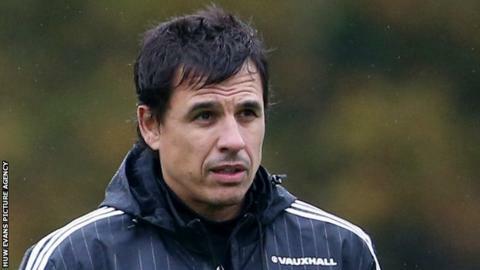 Chris Coleman could face some tricky choices when he whittles his Wales squad down to 23 players for the Euro 2016 finals. The friendly double-header with Northern Ireland and Ukraine over Easter - as well as one in Sweden in June - will give the Wales manager a final chance to assess his options for this summer's tournament in France. The fact that first-teamers Gareth Bale, Aaron Ramsey, Ben Davies, James Collins, Hal Robson-Kanu and Andy King are among the absentees this weekend could be a blessing in disguise for Wales and Coleman. It means fringe players will have a chance to impress the manager and maybe earn a place on Welsh football's greatest road-trip - and, in turn, give Coleman the perfect excuse to test out players he is unsure about. So here's my thoughts on who is sure of their place on the bus to France? And who faces a nervous wait? Gareth Bale, Aaron Ramsey and Ashley Williams are hugely important to Wales' success. Bale is the talismanic match-winner - while the glue that holds everything together is the captain, Williams. Either an injury to centre-back Ashley or Gareth would have massive repercussions for Wales. I also think Crystal Palace goalkeeper Wayne Hennessey is going to be very important for us in France and he might just sneak into my Euro 2016 limo. These are the first-team regulars who are guaranteed to be in the squad. The likes of full-backs Ben Davies and Neil Taylor and midfielders Joe Allen, Joe Ledley and Hal Robson-Kanu are all important. They are not just hard-working, they are very talented in their own right. But the work they do creates the platform for the likes of Bale to perform. I think Reading defender Chris Gunter is definitely another - he's one of the first on Chris' team sheet. Guys like West Ham's experienced defender James Collins and Sam Vokes up front are pretty sure of their places as well. I'm not sure about David Vaughan in midfield and I would put playmaker Jonathan Williams - now on loan at MK Dons - in the bus station waiting room of guys that are not entirely sure of his place. Another who might be questioning his place is right-back Jazz Richards. He did well in the qualifying campaign so I don't think he should have too many worries. But Jazz is no cert. West Brom defender James Chester is sure of his place in the squad, while players like Cardiff's on-loan forward Tom Lawrence, the former Manchester United academy player, might be looking over his shoulder. There are a few with an outside chance of getting in the squad - you think of young winger George Williams and another youngster, central midfielder Emyr Huws. If David Cotterill can end the season well with Birmingham, I think he could be in the final 23-man squad for France - and you might even put Walsall striker Tom Bradshaw in there if he keeps scoring. Striker Simon Church has lost his place in the team but if he can impress in the friendlies as he has done for Aberdeen, he might force his way back in. There are a few players who will just have too much to do to figure in Coleman's 23-man party. For the likes of Southampton forward Lloyd Isgrove and Manchester United teenage defender Regan Poole, it's a little too late for them to break into the squad, while someone like full-back Adam Matthews has fallen off the radar. The majority of the 23 will be players Coleman has been successful with - and he's a loyal man so he will probably stick with most of the players who have brought Wales success over the last couple of years.